Choline/Acetylcholine Assay Kit (ab65345) provides a simple and sensitive means for quantifying Choline and Acetylcholine by either a colorimetric or fluorometric method in samples such as blood, cells, culture media, fermentation media, etc. In the choline / acetylcholine assay protocol, free choline is oxidized to betaine, via the intermediate betaine aldehyde. The reaction generates products which react with the Choline Probe to generate color (λ= 570 nm), and fluorescence (Ex/Em 535/587 nm). Acetylcholine can be converted to choline by adding acetylcholinesterase to the reaction to measure total choline (choline + acetyl choline). The amount of acetyl choline is calculated by subtracting choline from total choline. There is no need for pretreatment or purification of samples. The kit can detect ~10 pmol-5 nmol of choline or acetylcholine. Cells should be cultured in choline chloride free medium. If you need to purchase additional Choline Probe for this product, please see ab139505. Choline and acetylcholine (often abbreviated ACh) play important roles in many biological processes. Choline is a natural amine, and is generally found in phosphatidylcholine and sphingomyelin, phopholipids abundant in cell membranes. Choline is also the precursor molecule for the neurotransmitter acetylcholine which is involved in many functions both in the peripheral nervous system (PNS) and in the central nervous system (CNS). In the PNS, ACh activates muscles and is a major neurotransmitter in the autonomic nervous system. In the CNS, ACh and the associated neurons form the cholinergic system, which tends to cause anti-excitatory actions. Functional studies- ab65345Image from Kim J.H et al., PLoS One 8(2), Fig 4. doi: 10.1371/journal.pone.0056736. Acetylcholine levels from mouse brain tissue was measured using Acetylcholine assay kit (ab65345). Normal mice were anesthetized with thiopental sodium at 20minutes after the end of electroacupuncture (EA) treatment to determine levels of ACh (Figure A). Immunohistochemical staining mAChR (muscarinic acetylcholine receptor) M3 in mouse cerebral cortex tissue 20 minutes after the end of EA treatment (Image B). J’ai contacté le laboratoire concernant les limites de détection de ce kit et de sa sensibilité. Comme montré sur la courbe standard pour la détection colorimétrique, la limite de détection inferieure est 1 nmol/puit. En ce qui concerne la sensibilité de cette méthode de détection, nous pouvons déterminer la DO jusqu’à ˜0.4, donc 0.5nmol peut facilement entre mesurer avec une détection colorimétrique. I am using this kit to detect acetycholine collected from tissue samples; the sample is in a buffer with pH7.4; When allowing color production to continue beyond 30 minutes, the values of the standard do not change however the values of my samples keep increasing; why would this be? Is it because the acetylcholinterase is continuing to convert acytelcholine to choline, such that all acetylcholinterase is not converted to choline after the suggessted 30 min incubation? I suggest running a time course to see how much time is needed for your samples to show a linear increase and then plateau off. It is recommended to choose the final incubation time within this linear increase regime. Also, please note it is important to measure the standards at the end point, at the same time measurements of the samples are taken. Can this kit be used for an in-cell assay? Can the probe permeabilize the membrane of live cells? ab65345 cannot be used for in-cell assay. It is meant for cell lysates. We want to know the amount of acetylcholine in our plasma samples. 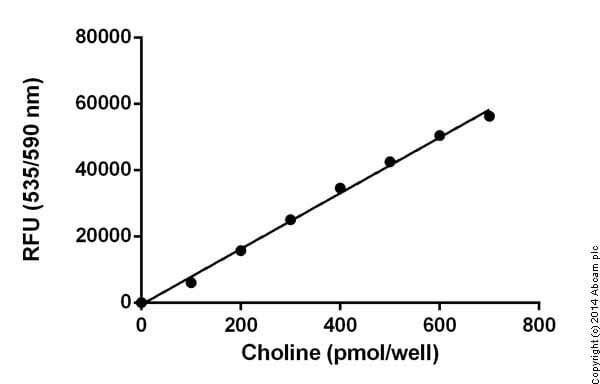 If the assay measures total choline when acetylcholinesterase is added, how do we know the amount of free choline to ultimately determine acetylcholine (ACh = total choline - free choline). Do you need to prepare 2 separate assays- one with samples containing the supplied acetylcholinesterase and one with samples prepared without acetylcholinesterase added? This will obviously affect how many plates to buy for our study. I can confirm that you are right. It will be necessary to set up 2 different sets of wells for measuring the total choline and the free choline in this assay. Therefore, to measure the acetylcholine, it will be necessary to set up duplicate wells for the total choline in the samples and duplicate wells for the free choline in the same samples. I can confirm that the acetylcholine would be the total choline - free choline. I hope this is of help to you. Please do not hesitate to contact me again if you need any further information. 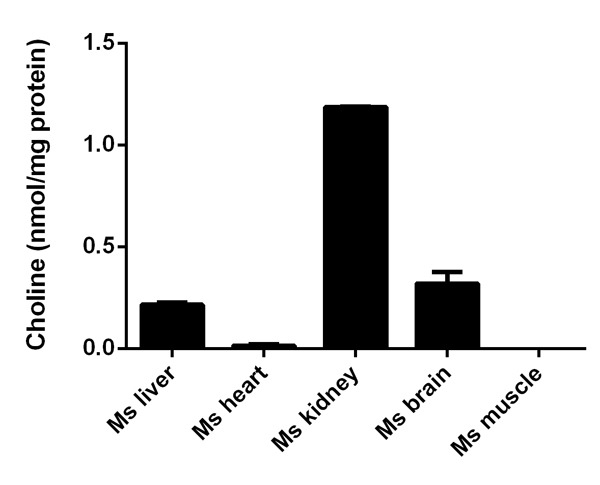 I am about to embark into a project looking for stroke biomarker in MCA occluded rat- I intend to use your product choline acetylcholine assay kit - As my study is on rat, I want to know how much of homology is their between the human and rat protein. With this information I believe I will feel more confident to use these kits on rat blood. Hope to hear from you soon. We have not tested this kit with rat samples. However this kit should work as it does not contain any human specific antibody. The species is irrelevant for this product. It will also be a good idea to include human samples as positive control. a customer of ours would like to know if you have any reference concerning the use of your AB65345on rat synaptosomes. 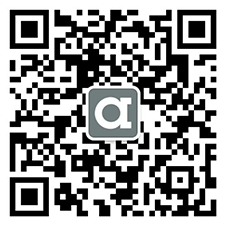 All of the information and images we have for each of our products is listed on the online datasheet for your convenience. These are updated as soon as any new information is brought to our attention. Unfortunately we don’t have any references for this kit in Rat synaptosomes. Thank you very much for contacting Abcam. Your details has been forwarded to me by my colleague Peter. The kit ab65345 have a detection range of 0.01 nmol/well to 5 nmol/ml; expression outside of this range will be undetectablewith the kit. I am sure the kit will provide best results with suitable samples. However if the kits fails please let us know wewill behappy to help. I'm trying to estimate whether your kit can detect the amounts of ACh/Ch that I expect to find in our samples. So, just to clarify, it appears that (starting from your graph) one can have as much as 5000 picomoles of Ch in a well. And 50 ul of that volume is sample volume, so that would mean that the [Ch] would be 100 uM (micromolar). If there is a 500-fold range as your numbers suggest, then the sample composition range is from 100 uM down to 0.2 uM (5000 pmol/50 ul sample down to 10 pmol/50 ul sample). Is that correct? Your literature also shows a "Range" from 0.01 nM to 5 nM; this appears to be denoting a concentration range. I have to assume that the range is actually o.01 nanomoles (per 50 ul sample) to 5 nanomoles (again, per 50 ul sample). Am I correct in my assumptions/calculations? Thank you for pointing this out. The datasheet is somewhat mis-leading with regards to the 500-fold range that is specified, and also in error with regards to the notation. I apologize for the confusion. The specified range uses the low value for the fluorometric assay and the high value for the colorimetric assay. A 500-fold range of detection can be achieved but not with a single reading. The values of the range should specified as amounts per well, that is, 0.01 nmol - 5 nmol, not as molar concentrations (nM). Thank you again for spotting this; we will fix it. Can the customer use Tissue culture SN? If so, how is the sample preparation? Tissue culture SN can be used with this assay. Add up to 50 µl of the SN to wells and make up the final volume in all wells to 50 µl with the assay buffer. Continue with the protocol. We have recently procured the choline assay kit from your company for a second time. However, except for the first attempt at using the first kit, we have seen that the standard curves (most likely the measured samples as well) have an inverse (rather than direct) relationship to the choline concentrations, meaning we see a reduced fluorescent intensity as concentrations increase. Do you know of any effect that could change the kits in such ways. We have followed the protocols exactly as is indicated in the insert and found this tendency reproduced 2 times with the first kit (the first attempt was successful and highly correlative) as well as the first attempt with the new 2nd ordered kit. Normally after two failed test we would simply try other products from different company, but since an acetylcholine release measurement is very important to our current projects we would like to know if you can help us troubleshoot this problem. Thank you for your email. I am sorry to hear that you have been experiencing problems with this kit. - Could you provide the order number of the kit? - The kit worked first time and then reading inverted. How long the kit reagents were stored? - Have you checked carefully if the dilutions are not inverted? - Could you send us raw data? - Could you specify the protocol steps followed? The readings are inverted for both standard and sample so it may well be that error may have happened in dilution of the standard and sample so your answers will be very helpful to know this anomaly. I will look forward to hear from you soon soon.